Today is the start of Week 27 in the quest to read 52 books in 52 weeks and should have you starting book # 28. We are halfway through the year and halfway towards our goal of reading 52 books for the year. Which brings me to building your book collection. Do you branch out and read a variety of new authors as well as your favorites. Or do you stick to those tried and true authors you enjoy. During my teen years, I only read Harlequin Romances. They were all quite g rated back then. In my early 20's all I read was science fiction and fantasy. Late 20's progressed to mysteries. In my 30's all I read was Christian fiction. I was a one genre woman. 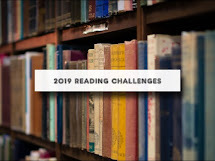 Now as I approach my 50th birthday, I have branched out and read all the genre's and this year a theme seems to have evolved - First Time Author Reads. I am enjoying discovering new authors and adding some to my must read again list. How do you build a book collection? I've come across some interesting internet posts that tell all about it. Mystery Scene - Nate Pederson: "Building Your Book Collection"
Ehow - Eliazar Platt: "How to Build a Book Collection"
Suite 101 - Samuel Turner: "Building an Inexpensive Hardback Library"
Maggs Rare Books: "Building a Rare Book Collection"
Thanks for all the info on collecting books. I've often wondered about how to start a collection. Have a great day!